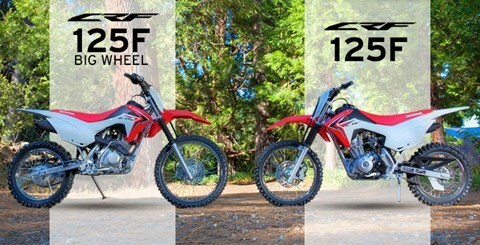 Bigger Riders Need Bigger Bikes. 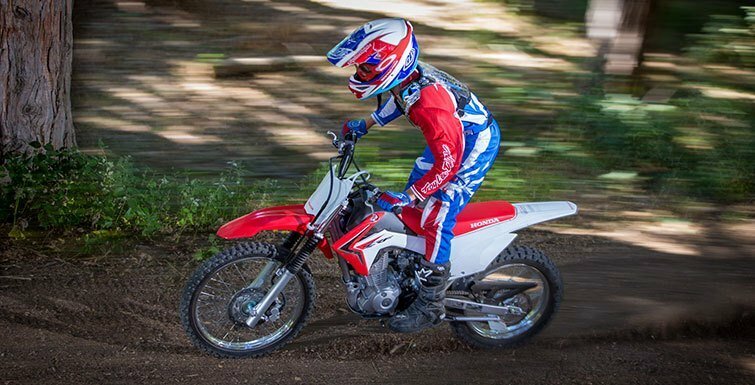 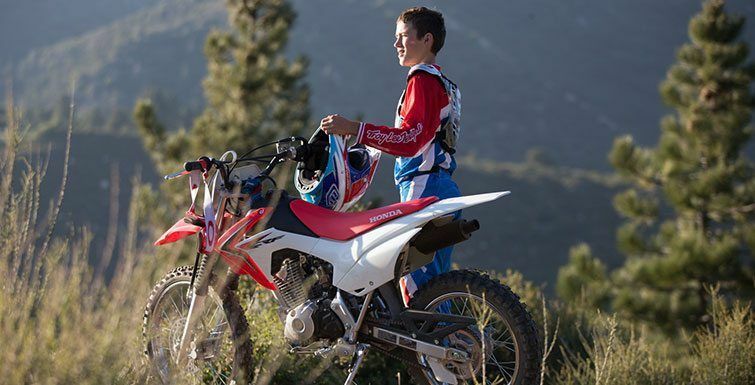 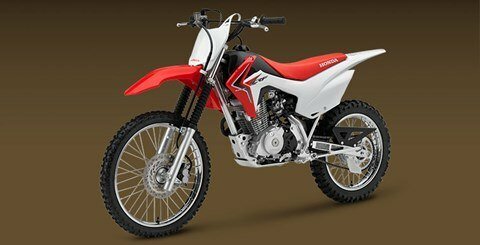 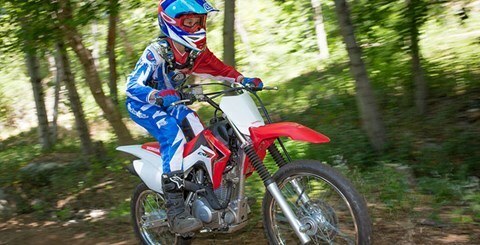 Riders aren’t all the same size at the same age, and that’s why Honda offers so many choices when it comes to dirtbikes. 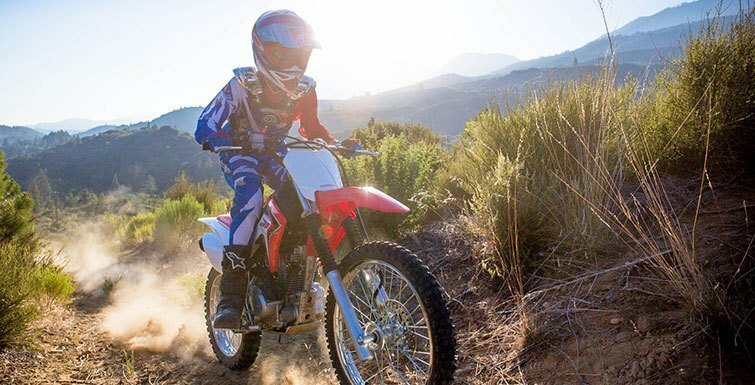 You need to carefully consider both your rider’s skill level and overall size when choosing a bike. 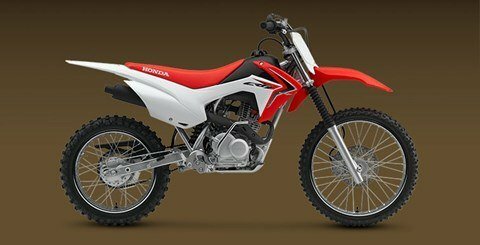 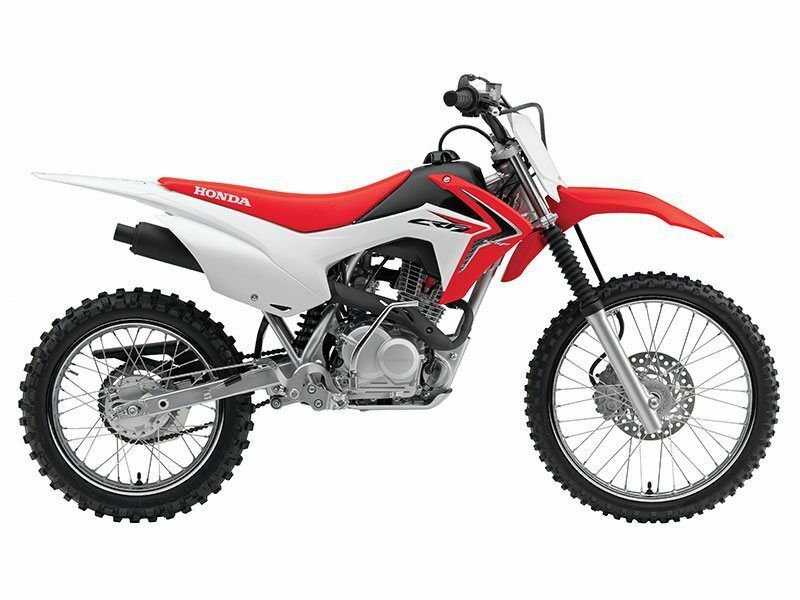 But when it comes to the 2016 Honda CRF125F Big Wheel, you’re in luck—basically, it’s the same great machine as our CRF125F, but with bigger wheels and a two-inch taller seat height. 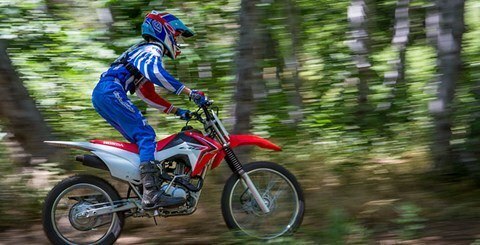 That combination means it will be perfect for thousands of teens and smaller adults who just want to get out on the trails and have fun. 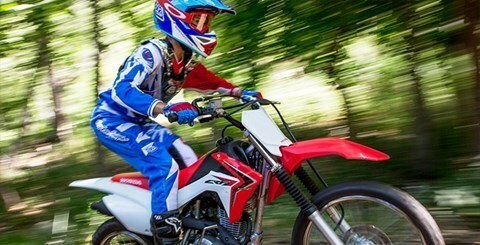 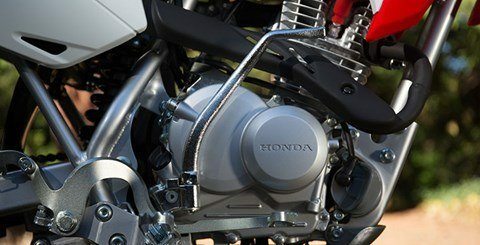 It’s loaded with features, and since it’s a Honda, it’s also famously reliable—a big plus, because riding is a lot more fun than wrenching or dealing with a poor-quality bike. Like the CRF125F, the Big Wheel version offers an electric starter makes it easy to get underway, and its four-speed transmission gives you all the control of a full-sized bike. 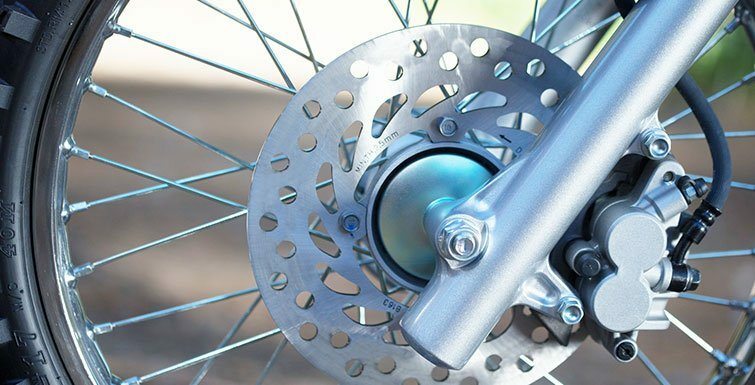 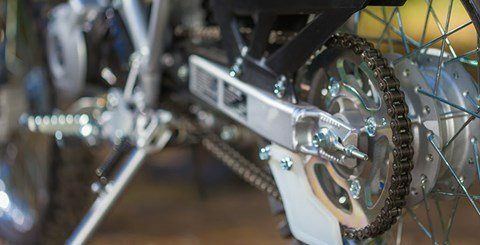 PRO-LINK® REAR SUSPENSION: Progressive linkage connects a single shock to the swingarm, delivering an excellent combination of spring and damping rates over a wide range of riding conditions with a heavy-duty Showa® rear shock. 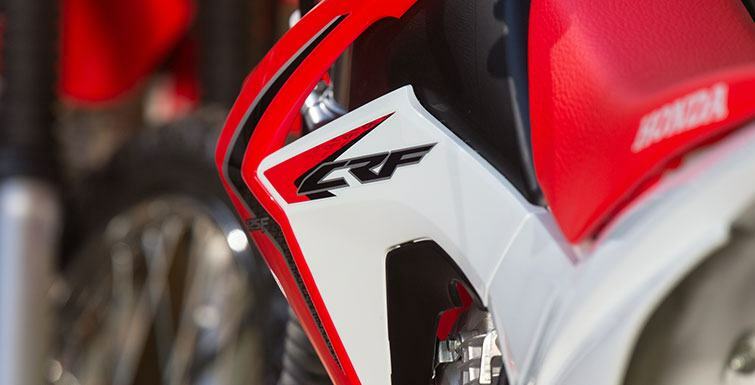 SEATED BATTERY: The maintenance-free sealed battery helps ensure that your CRF125F Big Wheel is ready to ride when you are.